LOOK OUT NICOLA Adams, your status as Britain’s undisputed Golden Girl of boxing is coming under threat. 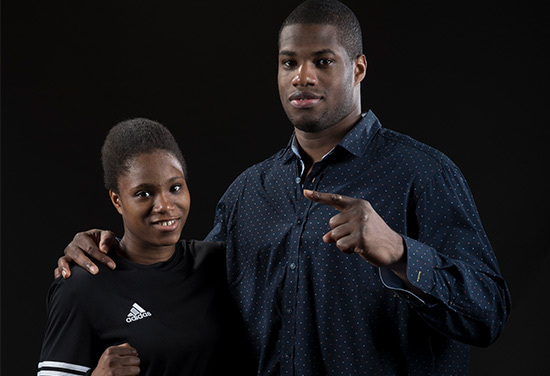 Caroline Dubois, 17 – younger sister of unbeaten heavyweight Daniel – late last month became England’s first world youth champion after triumphing in Hungary by outboxing Russia’s Asatrian Nune to clinch gold. Her bounty in Budapest follows on from also striking gold for a third time at the European Youth Championships earlier in the year, twice being EUBC European Women’s Junior champion, as well as a four-time National youth champion. Next up is the Youth Olympic Games in Argentina in October. Big brother, understandably, is very proud of his sibling’s accomplishments. “It is amazing, she is a world champion, soon to be Olympic youth champion and in two years’ time she will be Olympic champion,” predicted the holder of three professional titles himself. “That is the plan really, keep going for gold. Daniel admits that it is getting to the point where Caroline is simply too good for the opposition. “Yeah, she was born at the right time. It is perfect timing for her and it is like it was written before she came along. She is here now, she is dominating the division and is levels above everybody else. “They are all going the same way now, just win after win and I am really happy for her and she is making us all proud. LYON WOODSTOCK APPEARS to be a complete natural when it comes to trading verbal hooks and jabs with forthcoming opponent Archie Sharp. The unbeaten super feathers are set to get it on at the Leicester Arena on October 6 and the pair have been happily stoking the fires across social media and also at the opening press conference where the rhetoric was lively, to say the least. There are huge fights on the horizon for the winner in a well-stocked division but, surprisingly, there is one fight that is there to be made where Lyon insists he would simply keep his counsel ahead of touching gloves in the ring. 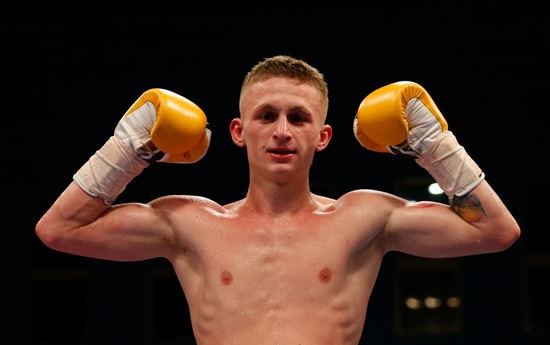 The fight in question would be a match-up with local rival Sam Bowen, the British champion from nearby Ibstock, who has recently signed up under the promotional banner of Frank Warren. Lyon says he respects the fact that Sam lets his fists do the talking. 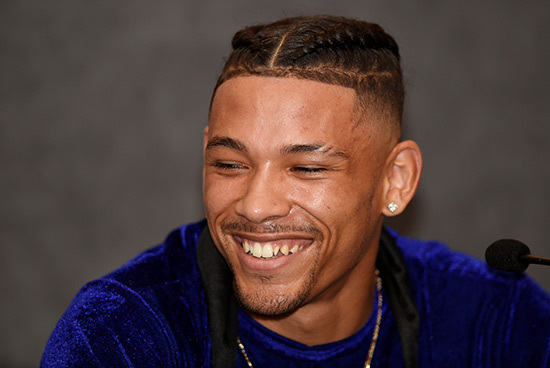 “Listen, me and Bowen is going to be one of the biggest sell-out fights in Leicester to date,” predicts the 25-year-old WBO European champion. “When that happens it is going to be amazing. “I’ve got no qualms over him and he has never said one bad word to me – nothing at all. So I have got no problems with him. “He is a good lad and obviously quiet, but everyone is different and I like him,” added the man who calls himself ‘King’, who reasons that timing is everything when it comes signing up for a local derby. “I would get excitement from having a fight with him, but for both of our sakes we need to do it at the right time because we don’t want to sell ourselves short. “I called him Bonehead Bowen once and said I would love the fight, but I have got the utmost respect for him and I like him as a guy. He hasn’t got a big mouth, he just gets in the ring and does what he does. I can respect him. “You will see us when we do fight at the press conferences and there will be no slandering, just mutual respect and the best man wins. RYAN GARNER IS not normally backward in coming forward when it comes to picking a winner or predicting how a fight will play out, but he chose to hedge his bets when asked for his take on the blockbuster between Josh Warrington and Carl Frampton, which takes place at the Manchester Arena on December 22. The Southampton snapper has tasted leather courtesy of both fighters in sparring sessions, most recently for a second time with Frampton ahead of his WBO Interim featherweight title defence against Luke Jackson in August. So he is well placed to offer up an educated opinion but, for once, he is opting to sit on the fence. Perhaps with one eye on future employment in case either man wants to draft him in for a further sparring stint. “I don’t really know because I sparred Warrington when I had just had my pro debut,” he countered in mitigation. “I’ve come on leaps and bounds since I was 18, so it is hard to really tell. “I think it will be a barnstormer of a fight because they both like to come forward and their styles will gel amazingly. It will be a proper scrap and hard to pick. “Carl is a completely different style to Lee Selby, but Josh looked amazing against him. He got everything down to a tee and got the gameplan spot on. Ryan returns to action at the Leicester Arena on October 6 on the undercard of Jack Catterall v Ohara Davies, Nicola Adams v Isabel Millan and Lyon Woodstock v Archie Sharp – live an exclusive on BT Sport.